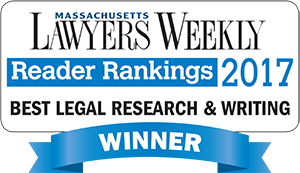 It is the policy of Lawyers’ Legal Research and Writing (LLRW) to respect the privacy of all users of this Website (www.lawyerslegalresearch.com) and of both the requesting attorney and his or her client. Therefore, LLRW will not disclose to any third party for any reason either the contents of or any facts relating to the contents of a user’s email or any other communication a user sends to us; provided, however, such disclosure will be made when required to do so by law or by properly issued court order or when good-faith belief exists that such action is legally necessary to: (1) comply with the law or comply with legal process served on LLRW; (2) protect and defend the legitimate business interests, rights or property of LLRW, its users, customers, or affiliates; or (3) act in an emergency to protect the personal safety of this Website’s users or the public. Users of this Website shall remain solely responsible for the content of their messages.